Assisted living communities (ALF – Assisted Living Facilities) are not the same. Here are a couple of things you should know; each provider has their own operating procedures and financial requirements. Most do not provide skilled nursing care and each state has their own set of rules and regulations. 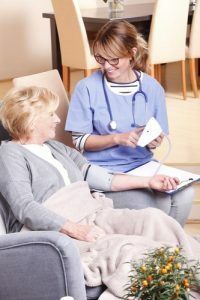 The goal of an Assisted Living Community is to assist their residents to be as independent as possible, with the ability to have as little or as much assistance as needed to help them stay safe and comfortable. It can be viewed as living in an independent or traditional apartment building, with meals and transportation provided and staff available, 24/7.